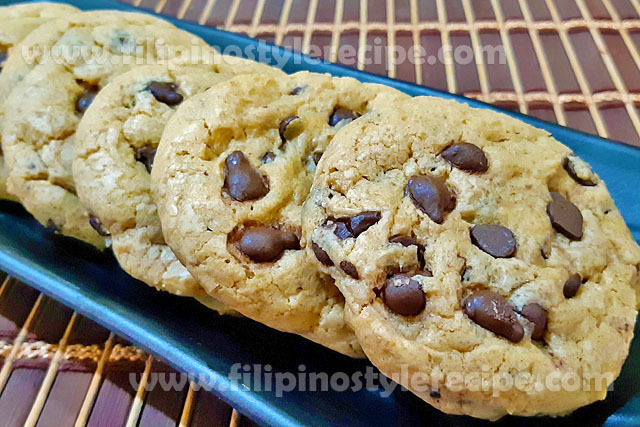 Filipino Style Recipe: Cream Cheese Chocolate Chip Frosting has a thick consistency similar to chocolate chip cookie dough. The sweetness of frosting is balanced by the cream cheese . 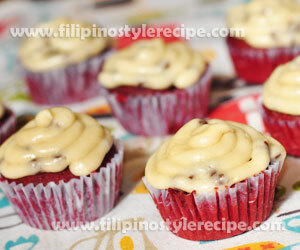 This can be use to frost any cupcake specially my favorite red velvet cupcake. 1. In a mixer, cream butter and sugar at medium speed until smooth (around 4 minutes). 2. Add vanilla, flour and brown sugar then continue mixing until well blended. 3. Add the milk and confectioner’s sugar then beat until you reach the desired consistency. It will be a bit thick like a cookie dough. 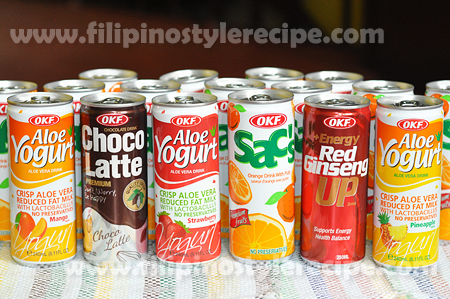 Add milk if you feel it is too thick or add confectioner’s sugar if it is too thin. 5. Frost your cupcakes. You can use a piping bag or just scoop it on top. 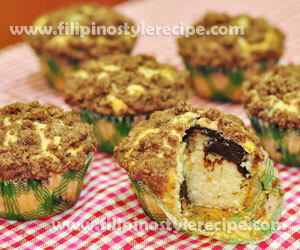 Filipino Style Recipe: Chocolate Chip Crumb Muffins is very easy to prepare recipe for novice bakers. 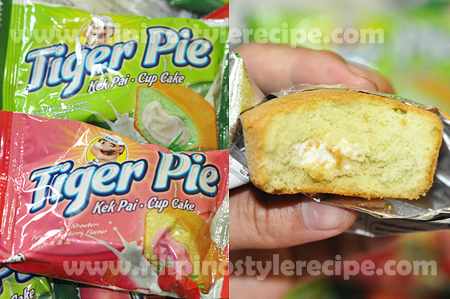 Perfect for giveaway to friends and meryenda (mid-afternoon snack) for your kids. 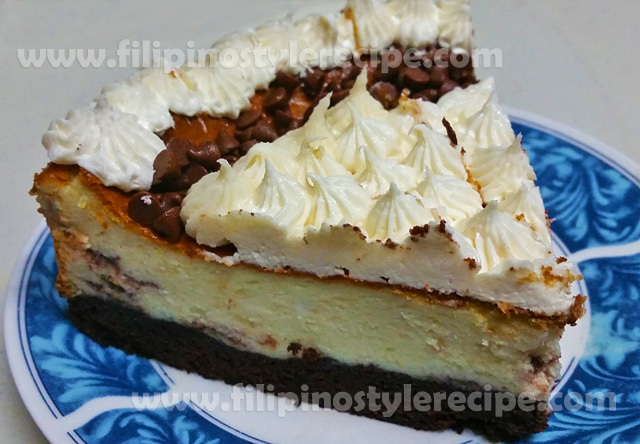 They will definitely love the chocolate in every bite and the crunch of the crumb toppings. 1. In a large mixing bowl, mix flour, sugar, salt, baking powder, and buttermilk powder until well combined. Set aside. 2. In a one cup measuring cup, put the vegetable oil and egg then add with milk just enough to fill the cup and stir a bit. 3. Add the oil mixture to the dry mixture and mix until just combined. 4. 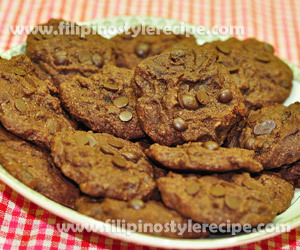 Use as few strokes as possible, fold in the chocolate chips. Set aside. 1. To make the crumb topping, combine the sugar, flour, butter, and cinnamon then mix until it forms small crumbs. 1. 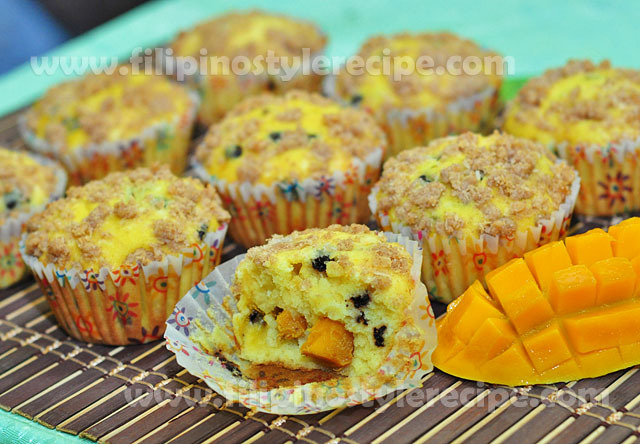 In a greased muffin pan lined with muffin cups, fill in the muffin mixture until almost full. 2. Sprinkle the crumbs on top then bake in preheated oven over 350 Fahrenheit for 20 minutes. 3. Let it cool for 5 minutes before serving. 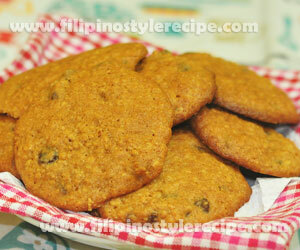 Filipino Style Recipe: Chocolate chip oatmeal cookies is a quick and easy to prepare dish. 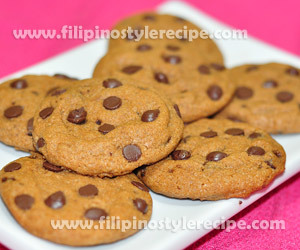 The cookies are chewy, not too soft nor crispy. You can replace the chocolate chips with nuts or raisins for variety. 1. In a bowl, combine eggs, vanilla, and raisin then mix well. Set aside for an hour. 2. Sift together the flour, cinnamon, and baking soda. Set aside. 3. In a large bowl, cream the butter, white sugar, and brown sugar. 4. Add the flour mixture and mix until blended. Stir in the oats and chocolate chips. 1. In a cookie sheet, drop a spoon of mixture about 2 inches apart. 2. 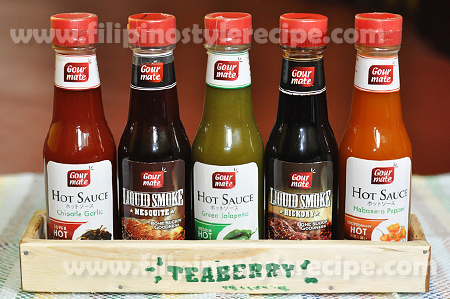 Bake into pre-heated oven at 350 degrees Fahrenheit for 10 minutes or until light brown. 3. Remove from oven and let it cool for about 5 minutes before transferring to wire rack to cool completely.